The materials of Stainless Steel,Alloy Steel,Carbon Steel,High Nickel Alloys,Super alloys & Special Steel,High Temperature Alloys on this website are provided by Aesteiron Steels Pvt. Ltd. as users of this website and may be used for informational purposes only. You can use this site only if you agree to and accept the terms and conditions. Your use of this website will be taken as an acceptance that you have agreed to the terms of this Notice. If you do not agree to them, do not use the site or download any product specification,PDF files,Videos etc. 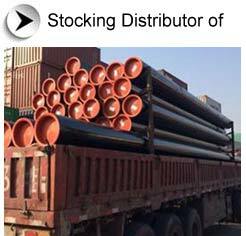 from our official website www.aesteironsteelpipes.com.most of the content in this website is related to our company profile,Infrastructure,our case studies,our registered brand products like ASPL P22 Pipe, ASPL P91 pipe, ASPL P5 pipe, ASPL t11 tube. Aesteiron Steels Pvt. Ltd. is its sole and exclusive discretion, change, alter, modify, add, or remove portions of the Notice at any time by updating the contents of this page. Copyright and other intellectual property rights Unless otherwise indicated,Aesteiron Steels Pvt. Ltd. owns or has valid rights to all intellectual property, including, without limitation copyright & trademark in this website. By making this site available, Aesteiron Steels Pvt. Ltd. is not granting you any license nor any kind of right to use its intellectual property other than as specifically provided herein. You may access, browse, download or use any of the text & Images on this site for personal, non-commercial purposes only, but you may not: (1) modify the materials or use them for any commercial purpose, or any public display, performance, sale or rental; (2) remove any copyright notices from the materials; or (3) transfer the materials to another person. In the event that any part of this Notice conflicts with terms and conditions particular to specific material that you download from this site, then the terms and conditions specific to such downloaded material shall prevail over those contained in this Notice. Information on our official website www.aesteironsteelpipes.com This website is provided on an "as it is" basis. While every effort has been made to ensure the accuracy of the information provided on www.asteironsteelpipes.com, the information may contain errors, including technical,Grammatical,Spelling or typographical errors. Use of information contained herein is at the user’s risk. Information is subject to change or updating without notice. Please contact Aesteiron Steels Pvt. Ltd. for any query. All of the product names, service names or logo of Aesteiron Steels Pvt.Ltd. used in this website are trademarks or registered trademarks of Aesteiron Steels Pvt. Ltd. in INDIA, Please note that Aesteiron Steels Pvt. Ltd. may not use or have registered some of the aforementioned marks in other countries. The materials in this site are presented solely for the purpose of promoting www.aesteironsteelpipes.com and providing accurate information about Industrial Steel Pipes,Tubes, tubular,tuberia & Tubing.the information regarding Aesteiron's products & services is provided with respect to INDIA only. Aesteiron makes no representation that materials in the site are available in other countries or that it is authorized to transact business in any other particular location. If you access the site from locations other than INDIA, you are responsible for compliance with any applicable local laws.